We are witnessing a deterioration of a country that was founded on individual rights into a system being denied by proponents as Socialism (which is a system that denies individual rights). The only argument being presented to the opponents of this transformation is an adamant statement, “This is not Socialism.” Of course this begs the question, then what the hell is it? No answer is given. When the means of production are taken over by the public ( i.e. the government) this is Socialism. This is what has been adequately demonstrated in country after country that has tried this “experiment” and all have failed to the extent they tried to fully implement Socialism. Those countries that have retained a modicum of private ownership and freedom have managing to limp along while full blown enforcement of Socialism has resulted in such atrocities as Nazi Germany, Soviet Russia and Mao’s China. There are varying degrees of Socialism as economies and countries are often in a state of transition. The advocates of Socialism know how the completed system of Socialism has ended in tragedy for millions so they want to avoid being identified with these historical examples; however, they are perfectly content to accept some version of a Socialism trend avoiding and denying the fact that trends, unless reversed, lead to the ultimate ideological failure that history has demonstrated. This strategy of denial only works so long as it is not identified and rejected. In the world of power grabbers and altruists many trial and error methods are tried and will continue to be tried. Without a coherent plan and an intellectual foundation there can be no outright formulation of what the result will be. Thus the rationalization of the argument of denial has emerged as a ploy to move the agenda of the predominant political advocates of Socialism ( both Republicans and Democrats) in a direction that is obvious and ultimately disastrous. The key to dismantling this approach is to question the chant. When they say it is not Socialism then the question must be raised, “What is it?”. When the “public option ‘ is conveyed as something other that a government takeover of the health care industry it must be identified and pointed out that a government run health care system is Socialism. As such this will lead to the destruction of private healthcare and therefore higher costs, ( through loss of competition), less providers and rationing ( by loss of incentives to profit and compete) and a bungling pile of bureaucrats struggling to stay out of hot water from politicians demanding special privileges for their friends. This is another consequence witnessed in countries that “tried” Socialism. If you want to see the full disclosure of the argument of denial read the columnists in the New York Times particularly Paul Krugman. I leave it to the reader to judge whether my assessment is accurate. As this is also academia speaking I leave it to the reader also to determine the source of this strategy and the proliferation of advocates being taught to further rationalize and spread this poison. The argument of denial is a simple fallacy that is often used by the faith oriented to pound an unproved assertion into the heads of non critical followers. When pressed to explain the foundation of their contentions they revert to a reliance on faith and a desecration of human reason. This is also the agenda of the deniers of Socialism. They know they cannot openly promote the ideology of Socialism without being met with arguments that will devastate their position. There is nothing to support the value of Socialism and similarly there is nothing to discredit the virtue of Capitalism. The history of freedom and private ownership is replete with stories of progress and documentation of its propensity to provide and enhance progress. The industrial revolution was not a Socialist movement. Brought up in schools where critical thinking is frowned upon and rote learning is the norm it is no wonder the argument for Socialism is still tried after being intellectually defeated by the history of Socialist failures during the twentieth century. This argument of denial is a last gasp for reintroduction to the horrors of the past. It can easily be disrupted and destroyed by simple courage and identification. 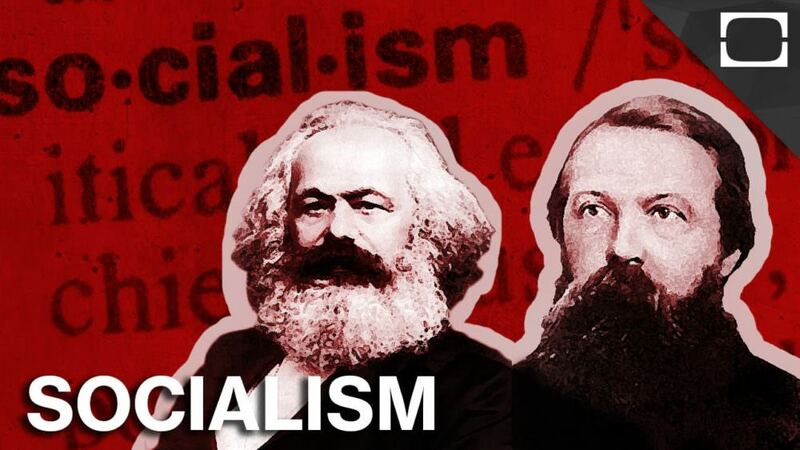 Telling someone who shouts, “ It’s not Socialism ‘ they are using the argument of denial, will disarm them sufficiently to start recognition that they have been found out and must go to some other rationalization of what they are doing but denying it has a name. Demand to know just what it is if it is not Socialism. Demand answers to their denials and be as adamant that you want truth as they are in wanting what they are not willing to name. A mixed economy is an unstable economy that is either trending in the direction of freedom and Capitalism or controls by government over individuals and Socialism. For those who want to live under the promise of the Founding Fathers there is only one trend that is acceptable. It requires courage and critical analysis of the rationalists who have an agenda of regulation and control they neither can justify or defend if they are honestly challenged. Wake them up with a question they cannot answer. If what you are advocating is not Socialism, please name the system this advocacy of greater government power over the individual and private enterprise is all about. The silence will prove the point that they are counting on your ignorance of their method to triumph. Consider disarming this slingshot approach and watch the panic they exhibit.